The 2017 Mercedes-Benz C 300 takes luxury sedan driving to a whole new level. The C-Class consistently outranks the competition, propelling the lineup to the top of everyone’s wish list. If you’ve ever dreamed of careening through Burlington with speed and grace, turning heads at every corner, then the 2017 C 300 is the right choice for you. 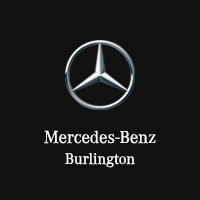 Mercedes-Benz Burlington is your guide to the very best in everything related to the three-pointed star; not only do we have an extensive inventory guaranteed to meet your needs, but our unparalleled Quantum Difference car buying experience will blow you away. Once you’ve learned everything we have to offer, schedule a test drive for the C 300 that catches your eye! We appreciate your interest in our inventory, and apologize we do not have model details displaying on the website at this time. Please fill the form out below and our team will quickly respond, or, please call us at 877-557-3007 for more information. At Mercedes-Benz Burlington, we love everything Mercedes-Benz and know you’ll never go wrong choosing any model from the extensive lineup. The C-Class is truly a standout, raising the bar for luxury vehicles everywhere. While there are countless reasons why we know you’ll fall for this impressive class, here are three reasons we don’t want you to miss. Impeccable styling: from the sweeping lines of the sporty yet classic exterior, to the cabin fitted with the latest technology and features, the redesigned C-Class leaves no details unconsidered. Thrilling performance: the moment your foot hits the gas pedal, your heart will race in turn. Even as the entry point to the world of Mercedes-Benz, the C-Class is ready to ride with power to spare. Rave reviews: Edmunds proclaims that the C-Class “delivers on all fronts.” Citing the meticulous craftsmanship and turbocharged performance, reviewers repeatedly praise Mercedes-Benz for exceptional quality, placing them ahead of the competition. It’s time you discovered your number one reason why you need the keys to the 2017 C 300; visit us today at 441 North Service Rd. in Burlington.